1969 was a tumultuous year the world over, and South Korea was no exception. President Park Chung-Hee’s iron-fisted dictatorship has provoked a backlash among angry students, and trouble is brewing. 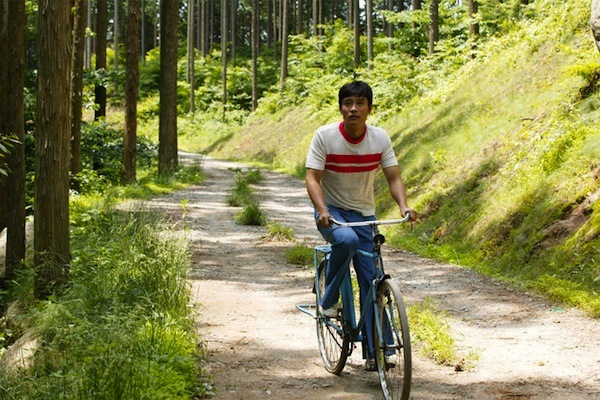 Suk-Yong and his comrades decide that Seoul is getting too tense, and embark on a summer retreat in the countryside, where they will help bring a rural village up to date with the modern world. But Suk-Young discovers pretty Seo Jung-In, the only local girl who shows no interest in the strikingly handsome student from a well-to-do family –- and that, of course, means he’s soon falling head over heels for her. Their bumpy courtship, however, is threatened by dark secrets that Jung-in hides about her family and their history in the village, secrets that will haunt the pair as the volatile political climate catches up with them. Malditang Bugay Nov 20 2016 3:07 pm A beautiful melodrama. Both leads were wonderful and made a huge impact in an understated way. The music fit just perfectly with the mood & time period this was set in. I do wish for a happy ending but sometimes a sad one is better. Really enjoyed this one. Aj Aug 30 2015 4:32 pm Lovely, sweet, often good-humored romance in a charming village with great cast, beloved lead actors, good direction, music, and cinematography. Yes, it has a sad ending, but it is a commentary on the political climate in South Korea at that time and in the 1980's. However--Spoiler--My quibble is with that very ending: There was no need for the separation to continue after Oct. 1989 when democracy was finally won. She was clearly a victim, a gentle soul in asylum working with orphans, with no responsibility for her father's betrayal and no political record. The writer blew the chance to celebrate their love and South Korea's freedom after great political suffering symbolized by these lovers. For this viewer that would have actually been more realistic and meaningful. GK Apr 05 2014 12:53 pm A beautiful melodrama. Although slowly paced, I was never bored. This movie will show you just how strong true love can be. Truly wonderful. hina Sep 22 2013 6:41 pm First of all, sorry my english, but I have to say that Lee Byung Hun is the best actor in the world, not just Korea. He can do any role and will always surprise in k-dramas or movies, simply because no actor like him. I hope I can get as far as he deserves and continue making films in the U.S. and Korea. This movie I really liked and I swear from one point in the film does not stop mourn at any time until the end, it was so sad and touching ... so beautiful, so pure love. A great movie and all you can see of him. I LOVE YOU, HUN LEE BYUNG. My lord gorgeous. Blaze Jul 30 2011 10:18 pm This was an excellent movie. Heartbreaking performance by both of the cast members. Lee Byung Hyun never ceased to amazes me with his talents! ys May 28 2010 8:32 am a ver touching show!!!!! love it!!! hamzeh May 10 2010 7:31 am this video is very amazing. i very glad because this site is interesting.